NC is for beer lovers! 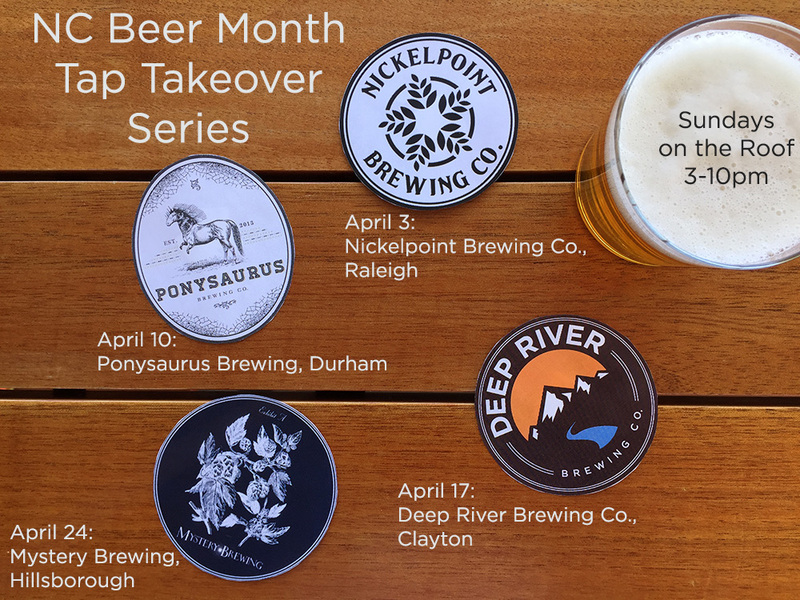 We’re celebrating NC beer month with roof tap takeovers by our friends in the area every Sunday in April. Stay tuned for full lists from each brewery.